Andrew has been a tourist guide in Manchester since 2009. 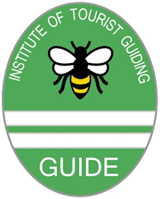 He was trained by the Institute of tourist Guides to guide in Manchester, Salford, Trafford and the surrounding towns of Greater Manchester. Andrew leads walks and gives bus tour commentaries for visitors from all over the world, and has recently started guiding in Spanish as well as English. Organisations from all over the world use Andrew’s services to assist their clients when in Manchester and he can tailor any walking or bus tour to suit itineraries and conference programmes. Escorting visitors in Manchester to see Manchester United and Manchester City play home games. Groups were met at the airport, and looked after for their time in Manchester. This included being given a bus tour of the city and escorted to and from the match, accompanied to their hotels and their restaurants, and finally helped to check in at the airport upon departure. Meeting tourists at Manchester Airport and seeing them safely onto their coaches at the start of sightseeing holidays or golfing trips. He has also accompanied groups to help check in at eh end of trips. Andrew is a member of Manchester Guided Tours, the largest guiding association in Greater Manchester and participates in their programme of public walks and tours, including a Daily Discover Manchester Walk which leaves from the Central Library entrance in St Peter’s Square every day at 11am. Andrew has a particular interest in the religious buildings of Manchester and touring Manchester Cathedral is a regular tour he is delighted to lead. Andrew was for many years a history teacher and can bring his knowledge of history to his work. Manchester was originally a small Roman Fort called Mamucium and later ‘the first industrial city’ and there is a great deal to explore and tease out of the fabric of the city centre and its suburbs. However a key feature of Andrew’s work is showing the reasons for Manchester’s current prosperity. For example the redevelopment of Salford Quays by the Peel Group and the success of MediaCityUk feature in any bus tour and are a separate topic for a walking tour. Andrew is also a tour guide at the Bridgewater Hall, Manchester’s world famous classical music venue which opened in 1996. It is the home the Halle Orchestra and is used by the BBC Philharmonic, the Manchester Camerata and a host of visiting artists and orchestras for concerts. The behind the scenes tours include an explanation of the auditorium acoustics, a visit to a dressing room back stage and viewing the shock absorbers which support the building and isolate it from the noise and vibration of the city centre. 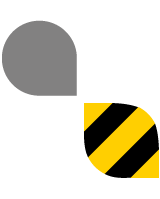 Marketing Manchester is the umbrella organisation which promotes Manchester as a business and conference venue and tourist venue. Andrew is an individual member and Marketing Manchester often asks Andrew to show journalists and travel agents around the attractions of the city. This year is the twenty fifth anniversary of Manchester Pride, an annual celebration of Gay and Lesbian life, and Andrew has had a bumper year show journalists around the rainbow flag trail. This tells the gay and lesbian history of the city, including events such as the tragic death of computer genius Alan Turing in 1954.